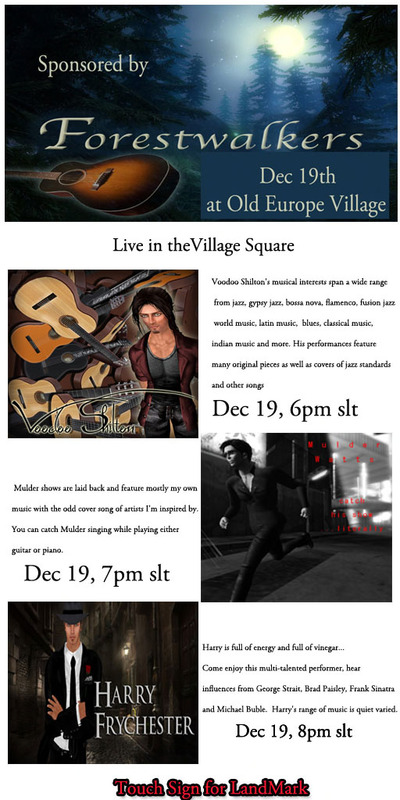 On December 19 from 6 PM to 10 PM SL time there will be a live music concert in Second Life at Old Europe Village. 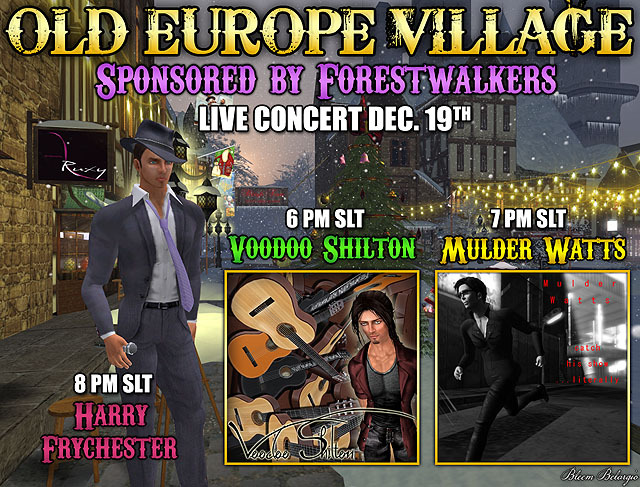 The evening begins at 6 PM with Voodoo Shilton, followed by Mulder Watts at 7 PM, and Harry Frychester at 8 PM. There are many stores at Old Europe that offer a great selection of Christmas gifts. 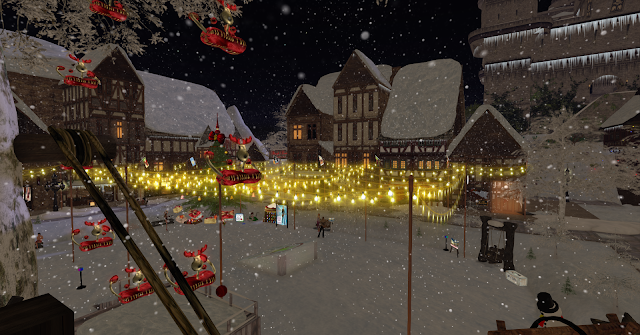 You can skate on the ice rink in the square, couples or singles dance, go on a romantic ice skate tour with your partner or friend, take an 8-seat reindeer sleigh tour in the sky, ride the ferris wheel, have snowball fights, explore the castle. There are plenty of fun Winter activities to engage in at Old Europe. "We will be celebrating love in the first place I landed in SL on Dec 19, 2012. ..... Dancing, Ice Skating, Ferris wheel, Castle, Tours or the Romantic Old Europe in it's Winter Village! w Forestwalkers team & Old Europe's Up4Dawes & Rux Anatra"
There is a free mesh Old Europe sweater available on the cart near the entrance and on the ice. Old Europe Village also has an Advent Calendar with boxes containing free very awesome gifts for each day of the month. Year in Review 2012: The End Is Here!